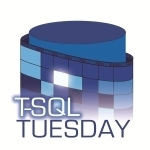 As a part of the T-SQL Tuesday run by Rob Sewell this month, I wanted to throw in a little post about using Test-DbaLastBackup which I will also be showing off a this year’s SQL Summit! If you like this post, don’t forget to signup for me and Chrissy Lemaire’s precon at the 2017 SQL Summit for more awesome PowerShell <3 SQL Server magic with dbatools! As data professionals we know that safeguarding our data is one of our most important jobs, and yet a significant amount of us continue to find excuses not to verify the integrity of our data. I want to show you an uber simple method to automate testing your entire estate worth of backups. However, if you only have a smallish or sleepy production environment, this will run just fine side by side, otherwise I demonstrate a parameter to run this on a different server. Lastly, before we begin, this assumes you’ve already installed and imported dbatools, because why wouldn’t you have? "sql2012","sql2005" | Test-DbaLastBackup -Destination "Sql2016"
Pipes them to the Test-DbaLastBackup command. Gathers information about the last full backups for all of your databases on that instance. Restores the backups to the Destination with a new name. If no Destination is specified, the originating server will be used. The database is restored as “dbatools-testrestore-$databaseName” by default, which you can change with the -Prefix parameter. The internal file names are also renamed to prevent conflicts with original database. A DBCC CHECKTABLE is then performed. And the test database is finally dropped. If you are super stuck on the restore portion but would like to do a VERIFYONLY, there is a -VerifyOnly parameter switch. -Database Allows you to specify a list of databases to specifically check, useful if you have just one in mind. -MaxMB Prevents databases over X MB from being restored. -DataDirectory Alternate data directory (besides default) you want to restore the database files to test. -LogDirectory Alternate log directory (besides default) you want to restore the database files to test. Thanks for your time, and I hope you enjoyed.